Greenbank is a small community on Whidbey Island, which lies about 30 miles north of Seattle in Island County, easily accessible via the Clinton/Mukilteo Ferry. It sits on rolling land at the narrowest point of the island, and is a mix of rural residential, recreational, agricultural and forest lands. Greenbank waterfront real estate enjoy homes that face picturesque Holmes Harbor, as well as easy access to activities like kayaking and whale watching. Greenbank is also home to Greenbank Farm, which was once the world’s largest loganberry farm. Today, the property and its historic 1904 barn, hosts Greenbank Cheese, Whidbey Pies, and a winery and wine shop which produces famous Loganberry wine as well as a wide range of other wines, including local award-winners, hard cider, jams and syrups. The historic Greenbank store was once owned and run by the descendants of the founder of Coupeville, Captain Thomas Coupe. It’s been in operation for well over a century and today it includes a deli and a restaurant, but when Greenbank waterfront real estate owners want to enjoy more major shopping or dining, it’s just a short drive away in Coupeville or Oak Harbor on the north end of the island. A few miles further north, mainland Washington can be reached via the spectacular Deception Pass Bridge, which is located in Deception Pass Park, the most- visited state park in Washington. It’s renowned for its awe-inspiring sunsets, hidden coves, idyllic beaches and rugged cliffs. 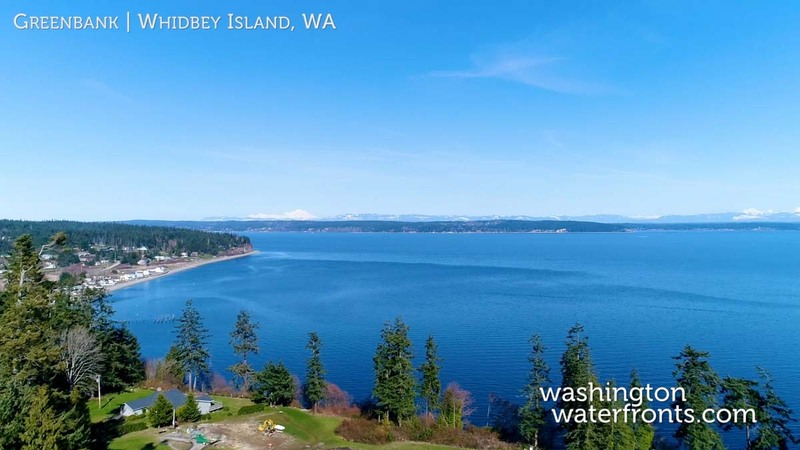 Greenbank and Whidbey Island offers a ton for visitors and Greenbank waterfront real estate owners alike. It’s a popular place for artists and musicians, with numerous galleries showcasing local works of art along with a wide range of music venues that host musical performances of all types. Prospective Greenbank waterfront real estate buyers some amazing homes in this area, with the chance to enjoy medium bank waterfront property with gorgeous views of the harbor and even your own stretch of beach. Take advantage of our industry-leading tools to make your property search as easy as possible and be sure to register for a FREE account so that you can receive email alerts whenever new Greenbank real estate for sale hits the market. If you’re seeking to sell your Greenbank property, contact our Waterfront Specialists directly for a comprehensive listing analysis and to learn more about the cutting-edge marketing strategies we’ll use to sell your home quickly for top dollar!